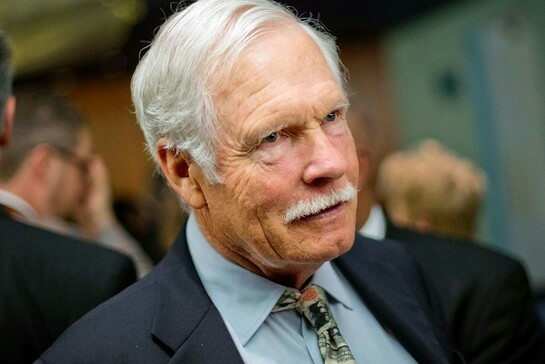 Ted Turner, the media mogul and cable news trailblazer, revealed in an interview set to air this weekend that he’s coping with a brain disease known as Lewy body dementia. Turner, 79, opened up to “CBS Sunday Morning” at his 113,000-acre ranch near Bozeman, Mont., saying while his disease isn’t fatal like Alzheimer’s, it leaves him tired, exhausted and, most of all, forgetful. Lewy body dementia is a type of progressive dementia that leads to a decline in thinking, reasoning and independent function, due to abnormal microscopic deposits that cause brain cell damage over time, according to the Alzheimer’s Association. Turner, whose net worth is estimated by Forbes to be $2.2 billion, was married to actress Jane Fonda for 10 years, until their divorce in 2001, according to People. The media mogul changed the landscape of television news with the creation of the 24-hour Cable News Network (CNN) in 1980. He told CBS that while he doesn’t watch much news anymore, he occasionally tunes in to the network he founded.